Celebrating the world ocean conference ( or Ocean Day) and the anniversary of one of the most successful environment success for the Ocean: Cabo Pulmo, a #Hopespot for the planet in Mexico, Pelagic Life are proud to officially release June 1st 2017 publicly OUT OF THE BLUE VR 360 film narrated by Ocean Legend Sylvia Earle and conservationist Judith Castro Lucero. "Out of the Blue" is the inspiring story of the legacy inherited by a child in a small town in Mexico. Once described by Jacques Cousteau as the Aquarium of the World, years of overfishing killed the reef and pushed its inhabitants to the brink of extinction. To get their reef back, a family of fishermen chose to make a revolutionary yet dramatic decision. 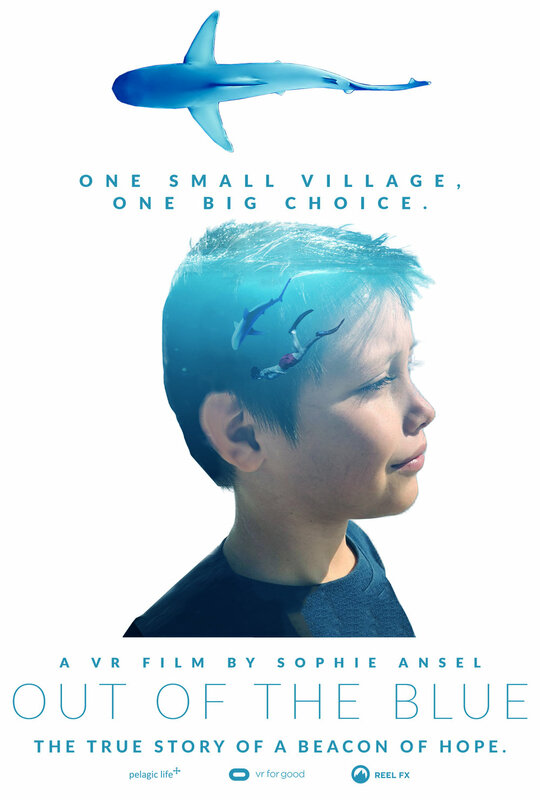 Directed by Sophie Ansel, the film has been created in partnership with Pelagic Life, #VRForGood by Oculus, and Reelfx .